Baptism and Belly Dancing—what’s the difference? What is the purpose of baptism? Is it merely a ceremony, a dedication of one’s soul to a particular religion or body of believers? Or does something actually happen? Are people somehow different after they’ve been baptized, different in a real way? If they are, then there would had to have been a movement of energy. Power would have had to have been invoked, and its movement would have had a lasting effect on the initiate’s energy body. That’s right, baptism is a spiritual initiation. 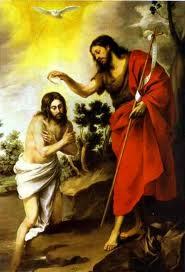 The priest places his or her hand on the initiate’s head and says, “Pass into this body, Father. Bring this child into the Cosmic Consciousness for its life of service.” Baptism is the activation of the crown chakra, the Thousand Petaled Lotus at the top of the head. It’s purpose is to prepare for the “coming of the Lord,” which is religious jargon for the initiation of Illumination. By waking up the crown chakra and infusing it with the Christ energy, which has its own unique vibratory signature, the initiate is oriented toward the Christ experience—the Illumination. In terms of auto mechanics, the baptism is like charging up the battery and connecting all the wires. All of the car’s circuitry is hooked up, programmed, and tested with electrical current. The Illumination is like turning on the ignition—actually firing up the engine. The human body has its own electrical circuits and its own energy. The vibration of that energy has different levels or frequencies—octaves, if you will. The higher the octave, the more attuned that energy is to the Cosmic energies, the spiritual energies of the Sun. This is why we call techniques like baptism “solar” initiations. The Illumination is getting the energy body of the initiate fired up with the Light of Christ. It begins the process of switching over from deriving one’s spiritual energies from the Earth to getting them directly from the Sun. The Earth has powerful energies too. Its energies are similar to the energies of a bell when it’s been struck by a hammer. They are secondary energies. The Earth swims in a sea of vibratory energies, and in turn vibrates synchronously with them. The Earth’s energies are a combination of its magnetic field and the electrical energies from the Sun. 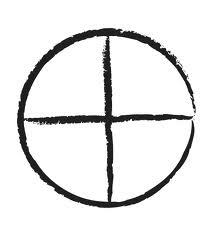 This is the metaphysical interpretation of the Earth’s symbol—the Cross, the intersection of two distinctly different energies for the purpose of creating a pulse. Just as there are techniques for activating solar energies within the human body, so are there techniques for amplifying the Earth’s energies. The body has a particularly strong energetic relationship with the Earth, one that can be exploited to harness different physical energies. The center or focus of the body’s attunement with the Earth is called hara. By focusing one’s mind on the hara while performing certain physical actions, great strength can be acquired. This is the secret of the martial arts. The martial arts initiate can do things with his or her body that ordinary people who haven’t had that training can even imagine, everything from healing disease to punching holes in a wall with one’s bare fist. Over the course of human history, three spiritual paths have developed. One path focuses on adapting the body so that it runs on solar energy, thus developing cosmic consciousness; one path utilizes the Earth’s energies for the accomplishment of superhuman feats; the third path is the path of the Moon. This is where we learn about cyclical forces, time, and the subconscious mind. Which, in a timely way, brings us to the subject of . . . you guessed it . . . belly dancing. You know how it is with bells—once you start banging them, you just can’t stop. Nothing gets people’s attention more than the movement of life energy in their bodies. Joseph Campbell once said that people aren’t looking for the meaning of life so much as the experience of being alive. Once we find out that the body has different frequencies of energies and that those frequencies can be manipulated for different purposes, watch out! There will be dozens of different schools popping up overnight, historically speaking. And each of those schools will have its spin-offs—one of which is belly dancing. Belly dancing is a curious blend of Earth and Lunar energies worked in such a way that they activate and amplify the second chakra, called svadhisthana, which in Sanskrit means “her favorite resort.” Gee, I wonder what that is. A skilled belly dancer (an initiate in her own right) can open and potentialize the second chakra of every person in the room. She does this by using the Lunar and Earth frequencies in conjunction with time, or timing, the rhythmic and arrhythmic beats of cymbals and drums. Combined with specific abdominal movements and breathing techniques, the same Lunar and Earth energies can be activated in the body of each person in the audience, creating an altered state of consciousness. This altered state of consciousness is as powerful as a drug experience. 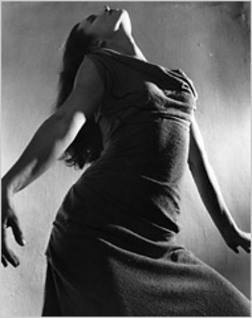 Because the techniques of belly dancing focus directly on the autonomic nervous system, the audience gets high on the energies through sympathetic resonance. Women are particularly well-suited for belly dancing for two reasons: one, because they’re female; and two, because who wants to watch John Goodman do a belly dance? 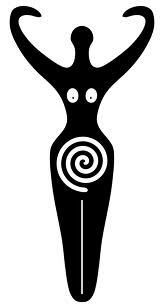 Being female usually makes you more attuned with cyclical forces, time, and the subconscious mind. So obviously, all the best belly dancers are women. Men can belly dance too, of course, but for whatever reason, that particular art form never really got off the ground. The human body runs on spiritual energies. These energies are subtle and are cosmic in origin, which means that they were already here when we arrived on the scene. Through a series of step-down transformers called chakras, these cosmic energies are translated into physical expression. The interplay of these energies has been a major focus of humanity’s attention since . . . well, forever. There are all kinds of names for the different energies, their location in the body, their use, etc., but it sometimes helps to forget all that and simply talk about them in terms of what they are—power, force, and energy. Sanskrit names, color charts, and diagrams are too intellectual. After all, it’s not the meaning of life that we’re after but the experience of being alive. Besides, without the experience, all the explanations are meaningless. 2 Responses to Baptism and Belly Dancing—what’s the difference? Thanks. 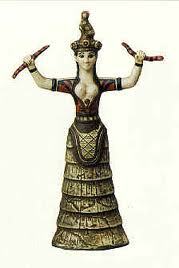 I wonder if the belly dance was what Salome used to mesmerize Herod Antipas. Some call it the Dance of the Seven Veils. This is very clear, insightful, and spot on! thank you. 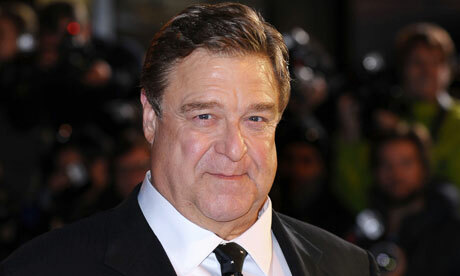 Call me crazy, but I think I might like to see John Goodman do a belly dance.